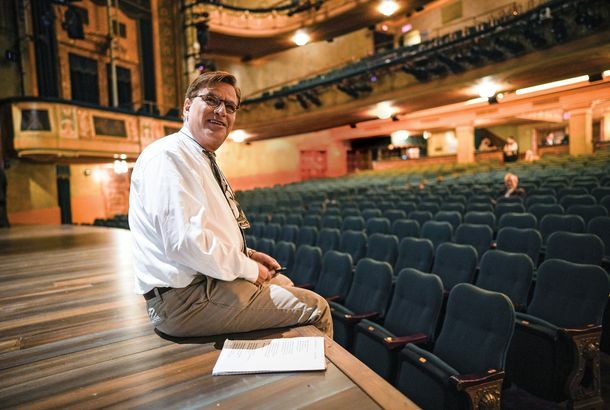 Harper Lee Estate Sues Over Aaron Sorkin’s Broadway To Kill a MockingbirdThe estate claims the play deviates too far from Lee’s novel in its depiction of Atticus Finch. Harper Lee’s Hometown Plans to Attract More To Kill a Mockingbird TourismReplicas of Scout’s and Boo Radley’s houses may be built in Monroeville, Alabama. To Kill a Mockingbird Is Superman’s Favorite Movie, and Here’s WhyClark Kent isn’t so different from Atticus Finch. To Kill a Mockingbird Author Harper Lee Dead at 89Lee died in her hometown of Monroeville, Alabama. The Decline of Harper LeeThe iconic 88-year-old author is involved in a messy tussle over a new biography. Does this mean she’ll never tell her own story? Harper Lee’s Go Set a Watchman: Better Off Lost?What can you make of a vastly inferior novel with a much more sophisticated morality? Listen to Harper Lee Receive a Copy of GSAWPlus video interviews with her lawyer, agent, and friends. One Agency Investigating Harper Lee Has Checked OutThe Alabama Securities Commission said the author is aware of what’s going on. Harper Lee’s Lawyer Responds to Go Set a Watchman SpeculationLee is reportedly hurt and humiliated that people think someone has taken advantage of her. Harper Lee Is Just ‘Happy As Hell’ About Go Set a WatchmanAccording to a statement she reportedly gave her lawyer. Harper Lee’s Editor on the New Book, Which He Only Learned About ‘Yesterday’HarperCollins’ Hugh Van Dusen discusses Go Set a Watchman and what people get wrong about the author. Read Harper Lee’s 5 Amazing Nonfiction PiecesClassics from McCall’s and Vogue. Harper Lee Wrote a To Kill a Mockingbird SequelFollowing Scout as an adult. Harper Lee Sues Over To Kill a Mockingbird CopyrightThe 87-year-old author claims that her literary agent’s son-in-law took advantage of her bad hearing. Harper Lee: ‘Looks Like Books Are Coming to an End’But the silver lining is that she’s almost certainly a Vulture fan.